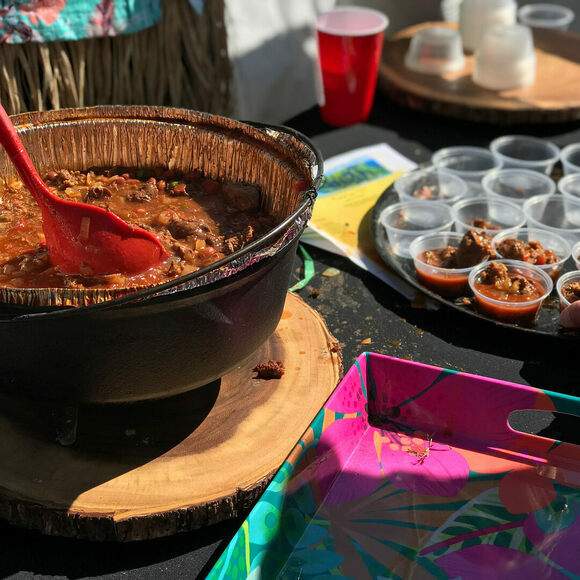 West Virginia's annual competition features the likes of squirrel gravy over biscuits and snapping turtle stew. At the annual Roadkill Cook-off in the West Virginia town of Marlinton, chefs compete to see who can make the tastiest dishes with animals often found by the side of the road. Attendees wander stall to stall, indulging in the likes of fried venison wontons, snapping turtle stew, teriyaki-marinated bear, and squirrel gravy over biscuits. To be clear, it’s not required that the ingredients are actual roadkill, but they must be the sort of animals that commonly find themselves the victims of traffic accidents. Think opossum, groundhog, deer, rabbit, crow, squirrel, or turkey. While contestants cannot precook their protein, they must pre-clean and pre-skin everything. Visitors strolling the grounds might see snakes sizzling on barbecue grills and thick, brown broths bubbling with black bear stew. In addition to inventive takes on local game, the event also provides an opportunity for West Virginians to poke fun at stereotypes that some assign to the region. Recipe names run from the humorous (“Ma, them hogs are runnin’ wild in the pineapple!”) to the mysterious (“Busted Tailgate BBQ Macaroni and Cheese”). The Roadkill Cook-off is part of Pocahontas County's Autumn Harvest Festival. In addition to square dancing and live music, the festival also features a beauty pageant where contestants compete for the Miss Roadkill crown. The Mesoamerican mortar and pestle has been made, and used, the same way for thousands of years. Bees get a lift from helicopters in order to produce this spicy honey.